With only a week to go until I start my LEJOG hike, I am checking and re-checking everything in readiness for the trip. The main issue other than gear concerns, is the weather in the UK, which recently has been more like that of my home island of Tenerife. With the forecast looking set for more hot weather for the foreseeable future, I have found myself questioning my strategy for re-supplying with water. When hiking in the UK, because of the weight involved, I rarely carry more than a litre and this time I am planning to carry only around 850ml. 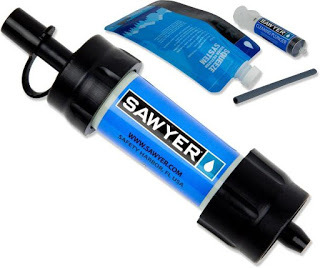 I back this up by using a Sawyer mini water filter, which is able to filter dirty water making it very easy to pick-up from streams etc. along the way. I am becoming slightly concerned that streams and rivers may be drying up if there is no rainfall in the near future so I may end up carrying more, at least in the early part of the walk. I always used to hike with a minimum of two litres of water but since becoming more weight conscious and reducing my pack weight, I decided that the 50 gram weight of the Sawyer was preferable to the 1 kilo a litre of the water. The other issue of concern is wildfires. My route passes close to Saddleworth Moor where there have been problems recently with wildfires that have been burning out of control. 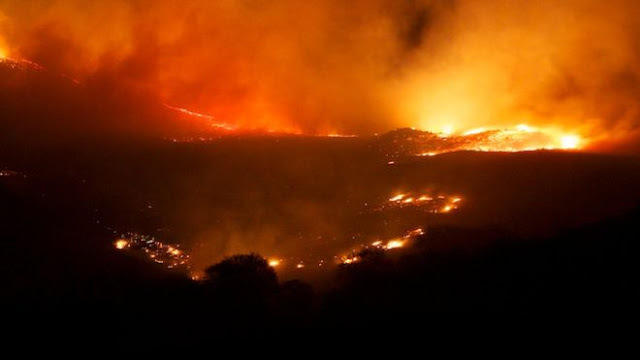 Of course, it will be some time before I reach that far north but there are reports of fires breaking out in numerous places so unless the weather alters dramatically, I will need to keep up to date with events and if necessary, alter my route to skirt around any problems. The other obvious issue is the heat. As a guide here in Tenerife, I walk a lot in the sunshine but I mostly do this in the winter months when the temperatures are much more bearable. Walking at this time of year in the conditions normally found on the island can be not only unpleasant but dangerous. It´s beginning to look as though I may have to cope with similar temperatures at the start of my UK walk.